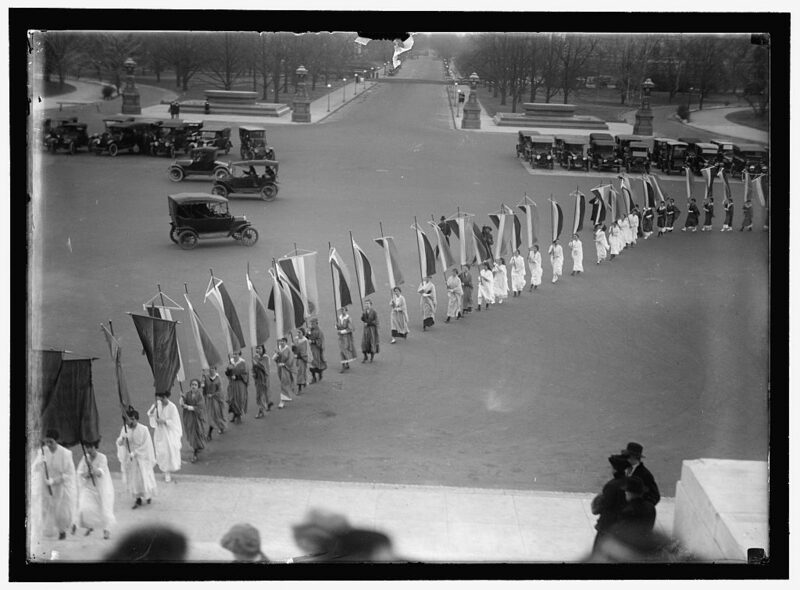 Christmas Day in Washington, DC 100 yrs ago honored suffragist Inez Milholland: A program at Suffrage Wagon Cafe! Happy birthday suffrage activist Edna Kearns (1882-1934) on December 25th. Find out about Edna and her “Spirit of 1776” suffrage campaign wagon at Suffrage Wagon News Channel. Edna’s “Spirit of 1776” suffrage campaign wagon will be on exhibit in New York State during its 2017 suffrage centennial observance. On this day before December 25th in 2016, we remember the Christmas Day memorial service held in 1916 to honor Inez Milholland (1886-1916) for her service to the nation. This is why we’re a partner in the InezMilhollandCentennial.com observance. A nomination to award Inez with a presidential citizens medal is in the pipeline at the White House. The nomination was filed over a year ago by U.S. Rep. Jackie Speier of California. Did you sign the petition? Additional names strengthen the presentation. 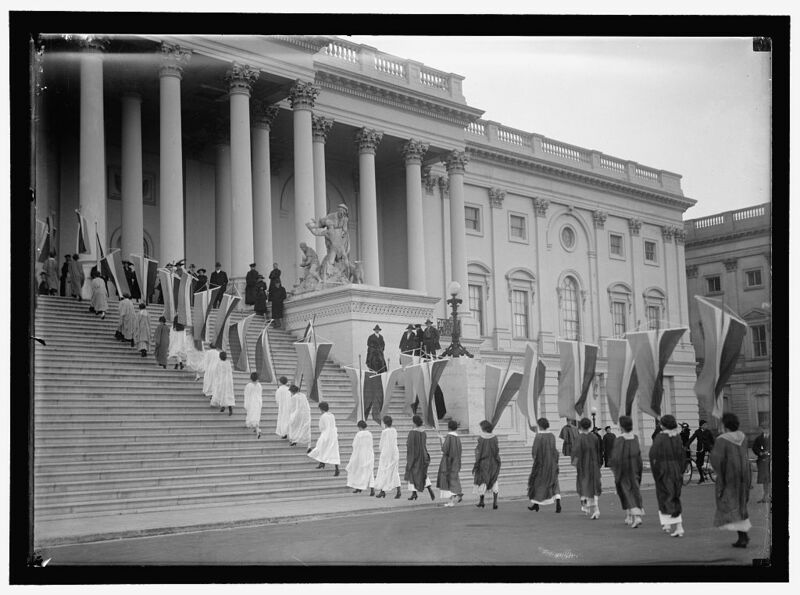 Photos: Library of Congress. The UK honors its suffrage martyr Emily Davidson who died after injuries from the King’s horse in 1913. And in the United States, Inez Milholland died in 1916 while on a lecture tour in the West to win voting rights for women. The current campaign continues to support President Obama in awarding Inez with a presidential citizens medal before he leaves office. Find out more. And there is a free DVD of “Forward into Light,” the 15-minute documentary about Milholland from filmmaker Martha Wheelock. Marguerite Kearns is host at the Suffrage Wagon Cafe. Four holiday videos! Happy birthday Edna Kearns, suffragist, on December 25th!